Since 1995 Ozomatli have been spreading their sounds of freedom and joy infused with various Latin American rhythms, hip hop, reggae, funk and everything in between. 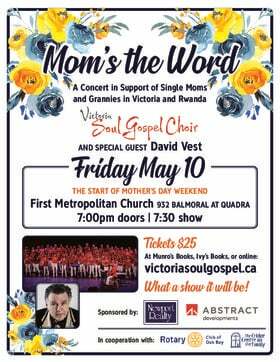 Their last appearance in BC was at Victoria's 19th Annual Ska & Reggae Festival performing alongside long time band mate Chali 2na and Jamaican reggae legend Freddie McGregor. 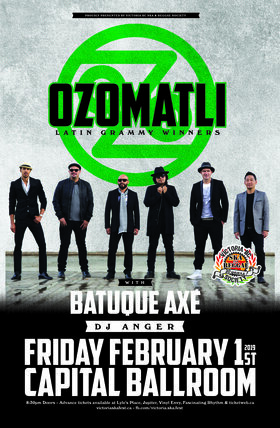 In Victoria Ozomatli will be joined by Batuque Axe who represent Victoria's Axe Capoeria School. Batuque Axe specialises in samba, reggae, Forro, Baiao and funk. Batuque Axe are one of the most captivating groups on the west coast of Canada combining all of these aforementioned genres with traditional Brazilian dances (samba) and the Afro-Brazilian martial-art, Capoeira. To round it off Victoria's legendary party rocker DJ Anger will be keeping up the vibes on the show playing the best in hip hop, reggae, funk and more!